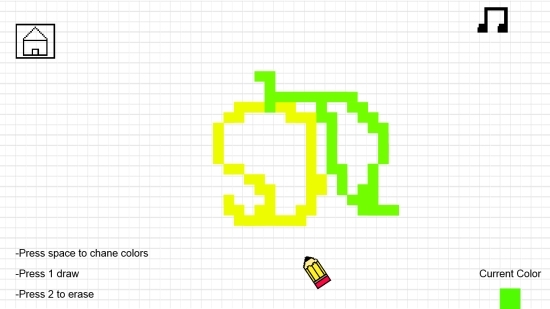 Super Pixel Draw is a free Windows 8 drawing app that lets you draw amazing pixel art and have fun. 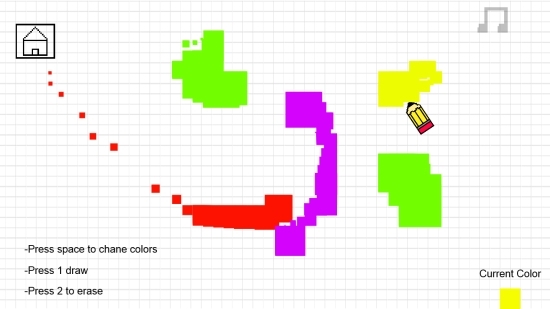 Using this free Windows 8 drawing app, you can draw colorful still and moving pixel images. The app offers two modes for drawing: Normal and Crazy. 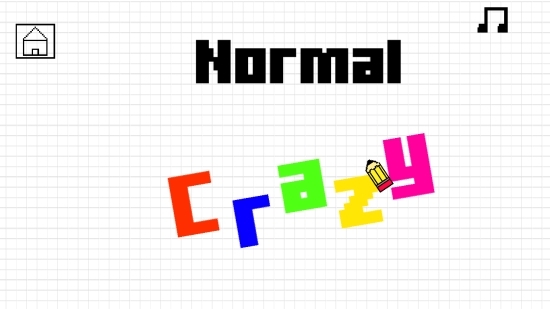 In normal draw mode, you can draw simple pixel images while in crazy draw mode, the images you draw grow and shrink turning your drawing canvas crazy. There are six color options to choose from while you draw. Nice beats play in the background that makes the whole experience of using the app very exciting. The app is freely available in Games category of Windows Store. You can also view the app directly in Windows Store using the link given at the end. Let’s have a look at how this free Windows 8 drawing app works. To draw exciting pixel images, install this app on your Windows 8 PC. As you launch the app, you will see the Start screen with an arrow on the bottom right corner of the screen. Click on the arrow and it will take you to the next screen displaying the two drawing modes: Normal and Crazy. On the top left corner of the screen, Home icon will be displayed. You can click on this option to go back to the Start screen of the app. On right side of the screen, Music Note icon will be displayed. This icon allows you to play or stop the background music. Click on the desired mode you want to play. You will enter the drawing screen with instructions mentioned on the bottom left of the screen. These include instructions about selecting color, draw, and erase image. The current color in use will be displayed on the bottom right corner of the screen. The transitions from one screen to the other happen with a shivering effect, inducing more fun. Also check some jigsaw puzzle apps and some free painting apps we have reviewed. Super Pixel Draw app is a funky Windows 8 drawing app. The moving pixel images look even more interesting. Small kids would love it. Try it out and have fun. Do share your feedback via comments. 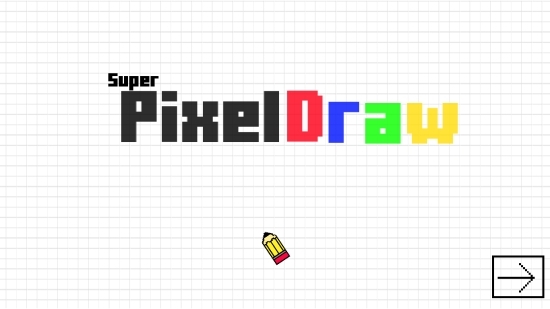 Get Super Pixel Draw here!